You’ve heard heard it before, grow your email list. But with your tiny list, you’re not sure you’re doing it right. 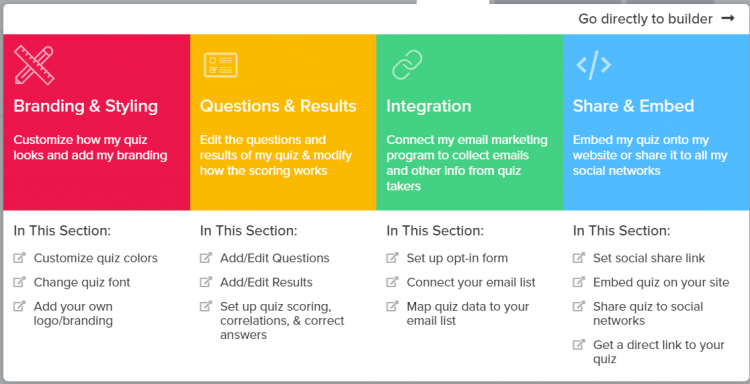 Did you know you can create quizzes that bring in email subscribers? Yes, targeted email subscribers that you can segment on your email list. What? I can do that? Yeah. People love quizzes, you know those quizzes you take on Facebook that ask you what character you’re like in Harry Potter? Yeah, those ones. You can create your own quiz to bring email subscribers to grow your business. Let’s face it, you’ve tried the eBook thing and no one is signing up. You need something else that will bring in your ideal reader. Assessments – test knowledge with one correct answer ex. How much do you know about email marketing? Personality – create quiz to find out what personality they have ex. What type of blogger are you? Scored – have weighted scores for each answer so the reader gets different results based on their scores ex. What is your blogging IQ? I know they look complicated but they’re not, I promise. You can use Interact to build your online quizzes and they have a ton of templates to make it super easy to do. They have integrations with all major email service providers like Mailchimp, Mad Mimi, Get Response and Convertkit which is what I use. So when I have readers answer a question, I can segment and tag them based on their answers so they can go into the proper sequence on my email list. It takes a bit to set up the Convertkit integration for how I wanted it to work but it was worth it. The quiz itself was super easy to set up and I already had an idea of what questions I wanted to ask. And if you’re thinking that quizzes won’t work in your niche, you’re wrong. I used it on my education/homeschooling website just to show you how you can get it done. There are templates to use for blogging, healty eating, sports fans, celebrity personalities, beauty and more. 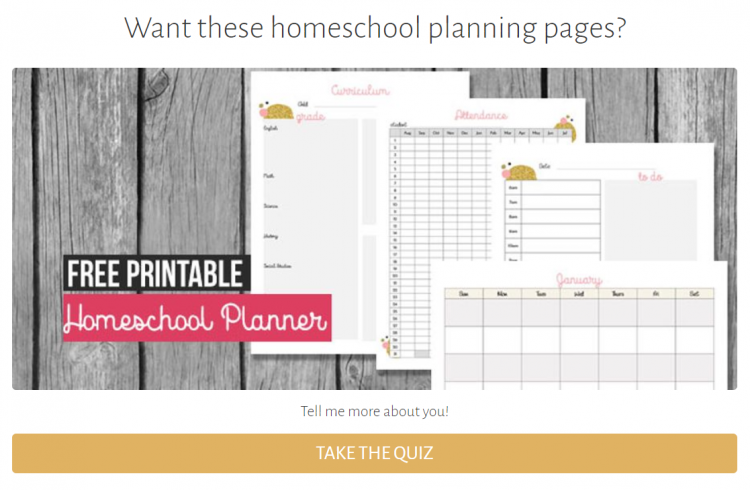 I wanted to entice my readers to take the quiz so I offered an free printable homeschool planner as gift. My goal was to segment the readers coming in as new, intermediate or advanced homeschoolers. I also wanted to get information on the ages of their kids and what they were struggling with. It was easy to customize the image, button colors and text. I like the ability to have pictures for each question or you can have pictures for each answer. Once they click on the answer it moves to the next question. I like how seamless that is so they don’t have to click on a button again to move to the next question. 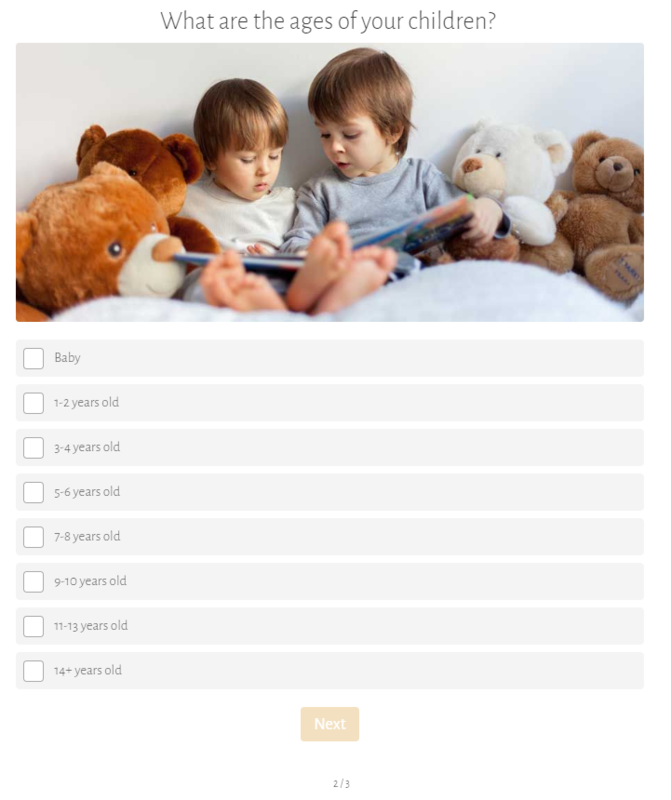 Because I wanted to find out the ages of their kids, this answer was a checkbox style so they could select as many as they needed. This was the most valuable question for me because I wanted to see how many were struggling with each pain point. I wanted to use this as a validation process for my next product. Once they were done, it leads to the opt-in page. I would have really loved to have the option to insert an image of the planner here but it didn’t have it, so that is one of my feature requests. 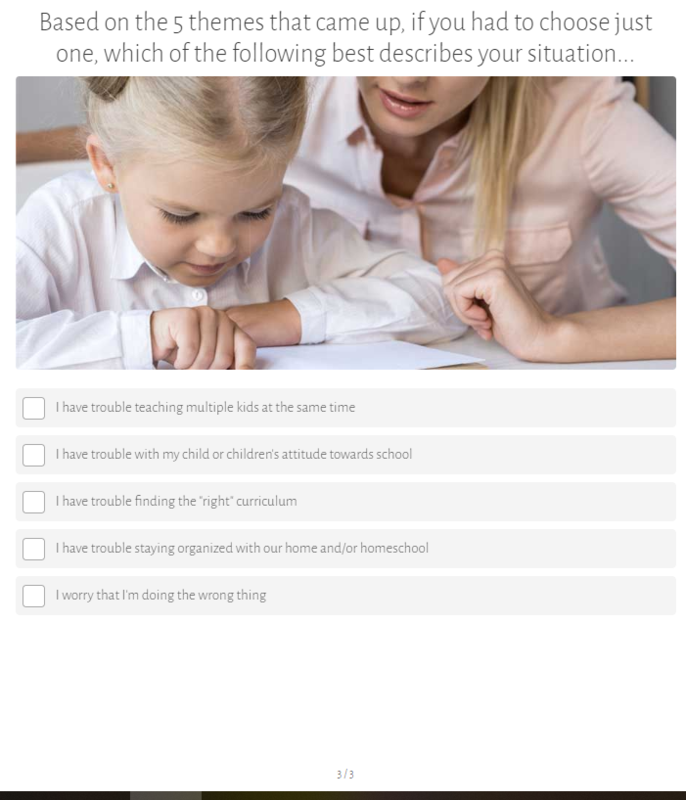 After they opt-in, you can send them to a results page, mine was the same page no matter what their answers were and it lead to a homeschool planning bundle one time offer page. But you can decide to send each result to a custom result page within the quiz builder or redirected to a page on your website. You can see here all the parts of the quiz that you can modify, it was very intuitive to use. So in order to tag my subscribers based on their answer to the first question. I had to do a bit of a hack. 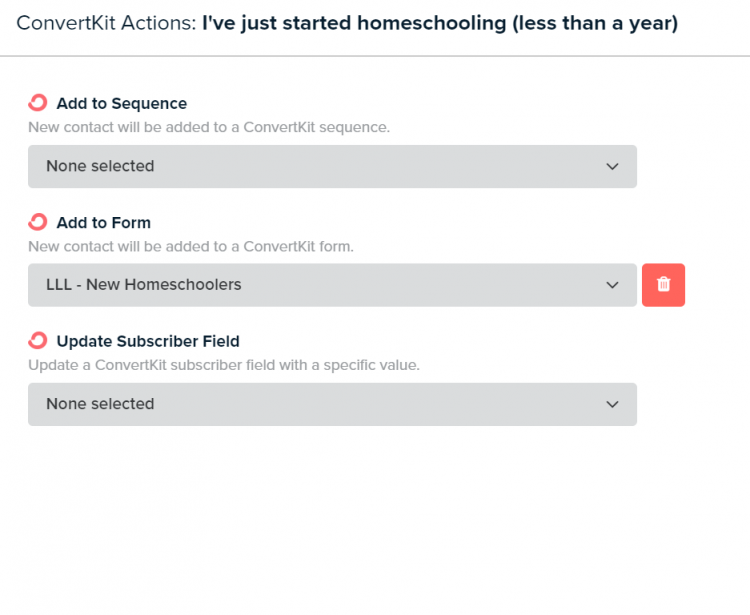 Here are the Convertkit options, you can add to a sequence, a form or a update a subscriber field. So tagging is not an option, at least not yet. 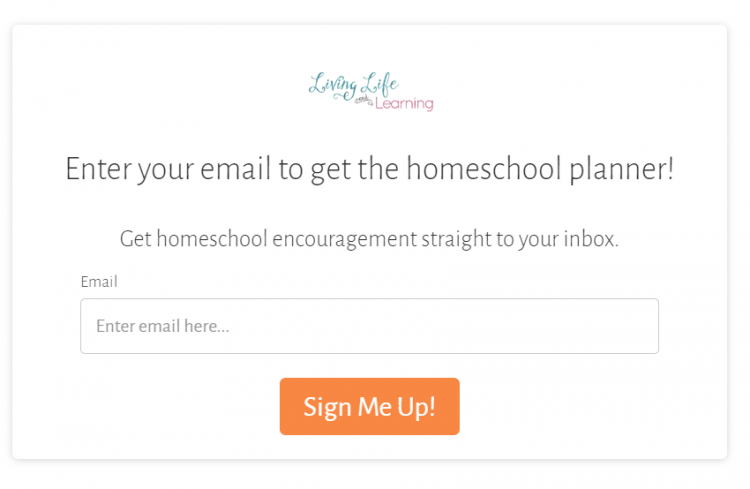 So I created a new form for the 3 questions – new, intermediate and advanced homeschoolers. Then in automation, I have it set so that when they are subscribed to the form, the appropriate tag is applied. This was probably the most time consuming part of setting it up. A bit more work definitely but I’m happy that it does what I wanted. This allows me to send new homeschoolers to my new homeschooling funnel that pitches my products. 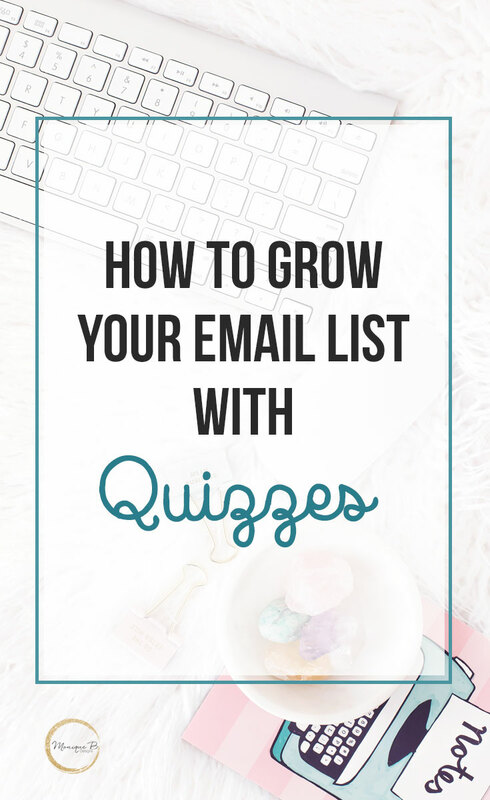 Want to grow your email list with a quiz? Try Interact today!